Hey everyone! 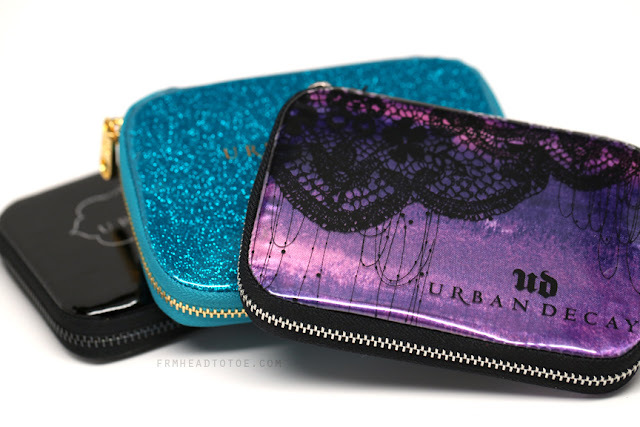 Today I wanted to share with you some of Urban Decay's limited edition palettes. The Fun, Feminine, and Dangerous Palettes were released in a similar format which are cute, compact, and the perfect size for upcoming holiday gifting. The first palette I wanted to talk about is the Fun Palette which, I've got to say, is definitely the first one I gravitated toward purely based on packaging. Turquoise glitter! Golden sketchy octopus! Gold zippered casing! The aquatic lover in me was squealing with joy! 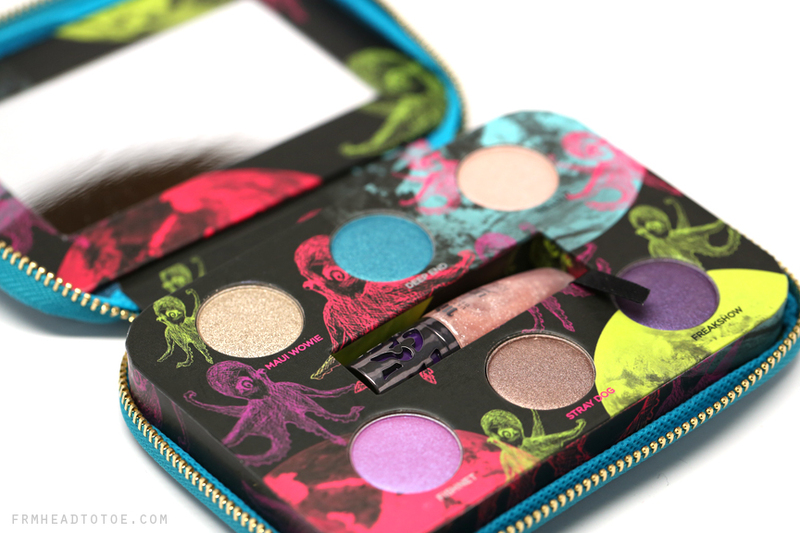 Inside we see six eyeshadows, a mini lipgloss, and a mirror on top. The mirror is roughly the size of a credit card but a little wider, so it's large enough to actually be usable during makeup application. As usual with Urban Decay's shadows, the colors are all vibrant and smooth. These shades all have a satin finish with the exception of Maui Wowie which includes flecks of silver glitter, thus causing some fallout issues. 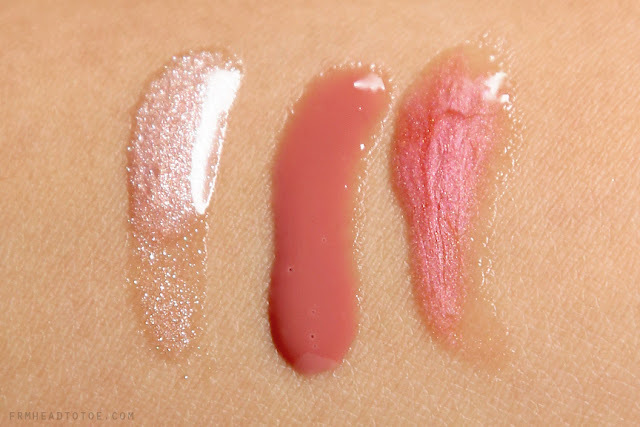 Midnight Cowboy Lip Junkie (far left) looks so amazing in the arm swatch but unfortunately it imparts basically no color on the lips. It does give a silvery shimmer effect so I would recommend using this on top of another lipstick to give it a boost of shine and iridescence. 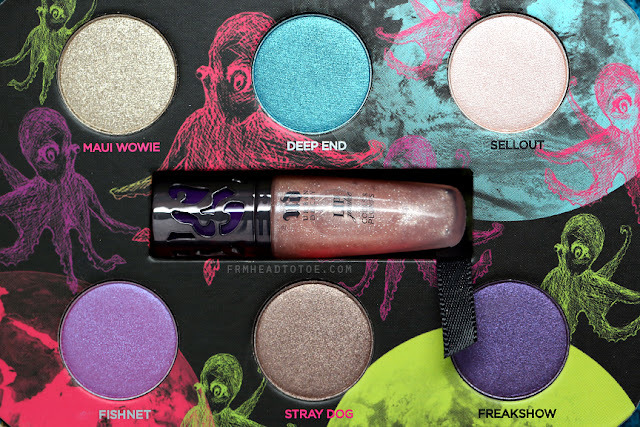 Overall, I do like this palette but it personally wasn't an OMG I WILL DIE if I don't have product. The great thing is that it does have your basic highlight shade (Sellout could totally be sisters with Virgin from the Naked palette) and a neutral lid color so if you like doing clean makeup with pops of color, this could be an easy-to-grab kit. I also appreciate that there are 2 purples since it's one of the most universally flattering eyeshadow colors to wear if you want to play with color. The Fun Palette is available now for $36 at Sephora, Ulta, and beauty.com. Hope you guys enjoyed this review! I'll be posting the other two palettes in the next few days so keep your eyes open! 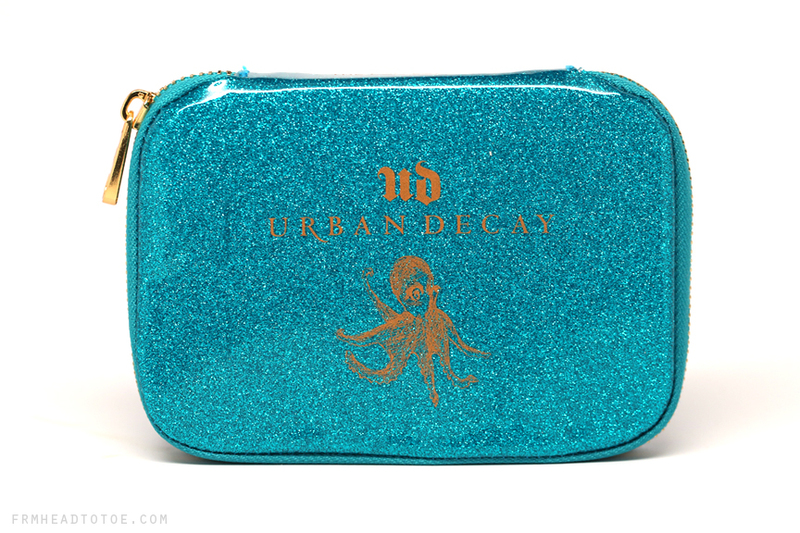 Love urban decay! Very Nice Colors ! Nice collection! 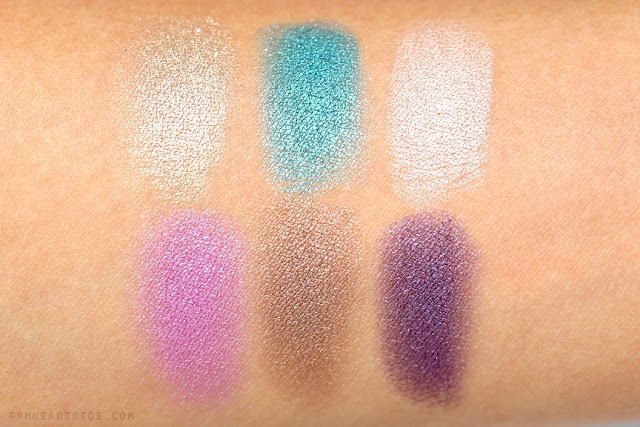 I wish to own these palette...so gorgeous! I am such a sucker for cute packaging. I don't usually stray from the smoky eye since I've got monolids, but I'd buy these for their cases! this probably isn't the right place for this but i was wondering what you thought of suzy from missA's hair and makeup in the "i don't need a man" video. i love it and would love to see a tutorial...! Hey Jen! I was wondering have you ever watched RuPaul's Drag Race? One of my favorite queens, Manila Luzon, did what I thought was the hottest black violet bad girl smokey eye in the last episode. I was wondering if you had suggestions for how to mimic it [though, as it was a scary bad girl look she wiped out her eyebrows, which I will not do lol]. I posted it here since I thought it was playable with the Freakshow shadow here. She's the Asian [Filipino] queen paired with the black plus size queen. Tho I highly recommend you check out her pictures... she's not effeminate at all when she's untucked and going about life as a boy, so she's got some serious makeup skillz for the illusions she does. Thanks for the reply! And you really should! This season is awesome since they brought back a bunch of popular queens from previous seasons. And for Asia, we got Jujube AND Manila going at it this season. I love watching the scenes where they're putting on their make up, before everything is blended, because you realize how much study the queens have put into understanding the ideal feminine face shape. It's like cartoony, until they blend it in, and then it's WOW. I absolutely love Urban Decay's eyeshadows! They're so pigmenting and easy to blend. These would be such cute stocking stuffers. I really like the packaging. I love the zippered packaging. UD really knows how to make things look appealing. I've always really loved NYX round lipstick in Snow White for a classic rich red that works well on NC30-ish skin. If you want something brighter, L'Oreal's British Red is nice. I've also been LOVING NYX's Soft Matte Lip Cream in Amsterdam! omg the palettes look so cute!! Urban Decay is the best e/s palette. I hope you will also review The Vice Palette Urban Decay :). Thank you Jen. can u do a makeup tutorial for each of this palettes?? thanks so much! I love Urban Decay eyeshadows ^__^ I haven't found any eyeshadows that blend as well.